Live video streams have become increasingly popular within the gaming community as well as other genres that wish to capitalize on direct communication. Services such as Twitch, YouTube and a handful of others provide a platform allowing virtually anyone to broadcast themselves whether it’s for entertainment or information. However, these streams can provide much more than simple video content. It can be a way to help boost various online venues such as websites and ad revenue. What can you do to maximize the effect of a live video stream? When streaming live content to remote servers, you need to have a decent upstream rate on your Internet connection. Some Internet Service Providers will throttle back upstream speeds in order to reduce latency for bandwidth. If this is the case, you may want to speak to your ISP to ensure you’re provided with sufficient bandwidth in your upstream to allow continuous connection to the remote server. Otherwise, the broadcast will become intermittent and you’ll lose viewers. It’s well known that camera overlays in games and other video improves the capabilities of the content in terms of viewer entertainment. Even those that play video games professionally see a difference in viewer retention through the use of clear personal presence. Although many of these professionals use high-end video recording systems, it may be possible to use smaller webcams. The only real requirements are crystal clear video as well as a smooth frame rate. The profile within your streaming account may be more important than you realize. Services such as Twitch and YouTube allow you to add various elements of information to promote virtually any online content you provide. These links back to your blog or website can generate additional visitors to promote sales or information. The more popular you become within the streaming community, the more revenue or interest you can generate. Be detailed with your information and provide a layer of trust within those that are watching your feed. Adding graphics to your stream or incorporating “offline” splash screens can deliver additional information to those viewing your feed. There are a variety of tools such as XSplit and OBS that will allow you to create these graphics and display them during broadcasts. Website addresses, social profile names and more can be delivered to viewers possibly extending your reach for marketing purposes. Adding green screens behind your image during a live feed allows you to remove background diversions. When you overlap your camera video onto the live stream of a game or other content, you can inadvertently create visual distractions by what’s behind you. You can reduce this “noise” of objects and people by using the chroma key ability in various applications. The colors accepted by the chroma key are dependent on the software you use. Colors such as green, blue and red are often used in order to overlap the video content onto your personal background. 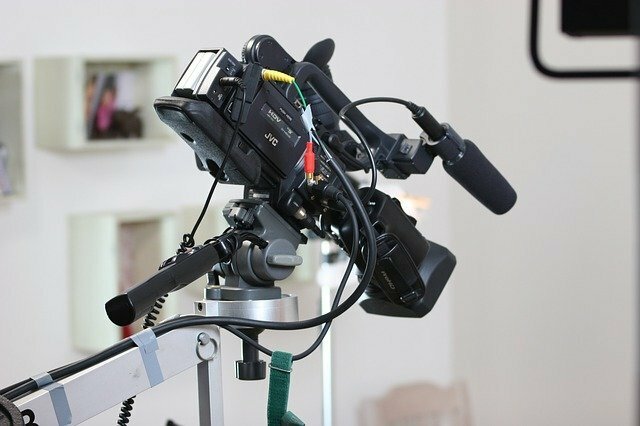 Live video streams are viewed by thousands of people on a regular basis. It can be as entertaining for you as it is for those watching the feed. The quality of your video will play a role in your success as will the quality of your own talent. Impress the viewers and you may be surprised by the impact you make on those watching your stream.